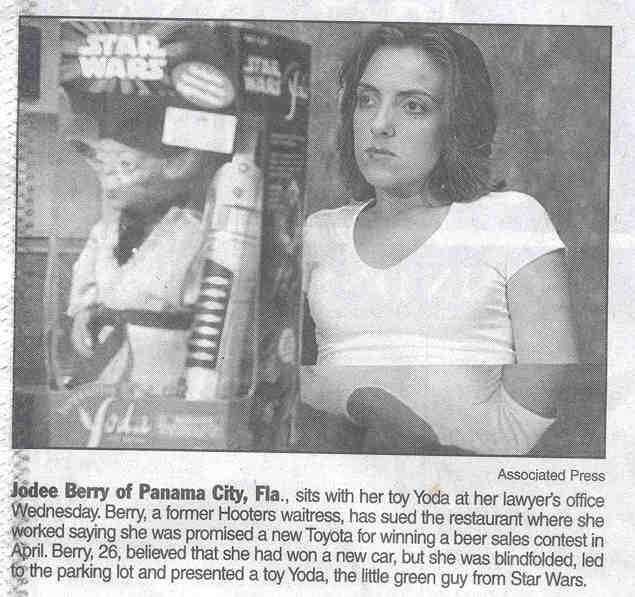 A Toy Yoda, Get It? Ar Har Har Har! I feel sorry for her, I really do, but I still had to laugh at her . Good thing she's not actually here, she looks pissed!